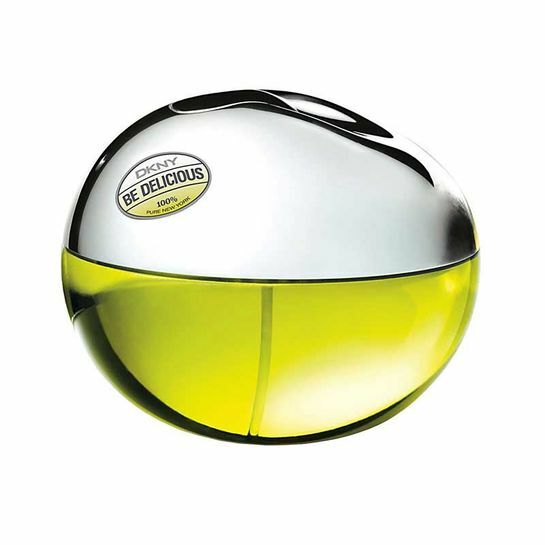 DKNY Be Delicious eau de parfum spray for women from Donna Karan is a fruity, floral scent, opening with top notes of cucumber, grapefruit and magnolia, flowing into a heart of tuberose, rose, violet, white muguet and apple, rounded off with white amber and woody accords. Here at Fragrance Direct our customers have long been big fans of the Donna Karan collection of fragrances and cosmetics, and this DNKY Be Delicious eau de parfum spray for women is particularly popular for its fresh, delicious scent that is ideal for daytime wear. Born in New York, Donna Karan began her fashion career at Anne Klein in the late 60s, before launching her own fashion line in 1984. Four years later, she introduced a spin-off fashion label called DKNY. The first fragrance, Donna Karan, was launched in 1992, and the Donna Karan brand now boasts a collection of around 16 different perfumes.